This work was written by the author during his time as a student of Theology, continuing until the year before his death in 2008.. He was inspired to write this, through his studies in Theology and because of his constant questioning of the meaning of life, the relevance of religion in today’s world and his often controversial views on day to day politics. His poetry book “Flying My Own Plane” was published in paperback form in December 2009 and has been selling well, consistently, since. While David was proud of his poetry, he was ambivalent about publishing while he was alive. However, he did express a desire to have the work in this document published. Unfortunately, he did not consider it to be finished and said shortly before he died that he had written more on his computer which he misplaced during his last bout of mania and was never found. 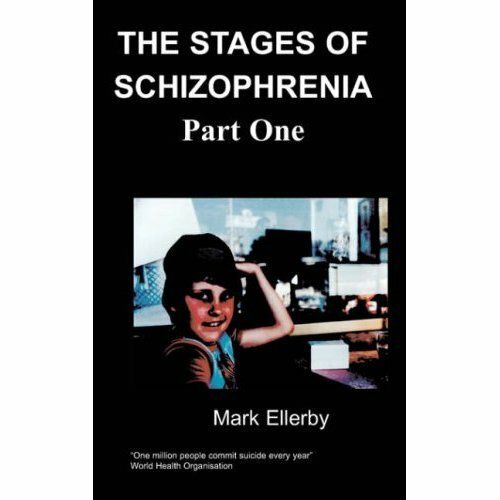 David Alexander Edward Murdoch, the author of this work, was born in Aberdeen on 21st January 1965., He was diagnosed with manic depression (bipolar disorder) at the age of twenty-one in 1986. The illness dominated his life and he struggled to achieve anything he was proud of. He did not respond positively to any of the drugs on offer and had difficulty accepting that he had an illness. He was admitted to hospital usually compulsorily, frequently, until his tragic death by suicide in Aberdeen on 23rd November 2008. The author’s maternal great grandfather was Canon M.E. Turpin, who was a missionary for the Anglican Church in the West Indies and Guyana. Canon Turpin’s father was The Venerable E. A. Turpin, Arch Deacon of Trinidad, Tobago and St. Kitts at the turn of the twentieth century. David never met these ancestors but was very close to his maternal grandmother, Mrs Margot Weir, who encouraged him in his interest in religion and gave him the family history. He did not express any serious interest in studying the subject in any depth, however, until he was in his thirties and was accepted to study Theology at Aberdeen University in the year 2000. He graduated Bachelor of Theology in July 2005. While at university he befriended and joined in fellowship with several religious denominations, Mormon, Muslim, Bahai respectively. He was well liked and appreciated for the genuine interest he showed in the different ideologies of the people he befriended. He lived as a member of these religious groups for short periods of time, and even became baptized as a Mormon and subsequently a Muslim but constantly questioned all faiths. He had many friends within the more orthodox religions and at one time expressed an interest in becoming a Catholic priest. His funeral service was conducted by Dean Emslie Nimmo of the Scottish Episcopalian Church in Aberdeen and Orkney, who was a close friend and confidant. “The gardener” is this life on earth that tends the body/mind. “A shoot from the tree of life” - to fashion the soul “the fruit of the union of the creator and creation”. This planet and its atmosphere therefore is not a garden but a gardener as are all planets in the universe. Should we not trust that the creator has appointed to his children the best possible gardener? After-all we are ourselves are as autochthonous with the earth as we are created by the creator. I acknowledge there is a great leap of faith between considering a reasonable doubt concerning life after death and countenancing the existence of a sentient creator. I will try to illustrate what I consider the nature of such a sentient creator would be and decipher what his or her purpose might be in creation. As a believer in ‘the big bang theory’ and ‘evolutionary process’ I discount the notion of a Wizardly being zapping the earth into existence. In defense of creationist theory, however, I see no real progression from ape to man that does not involve an accelerating event. It is also defensible in science that all human beings proceeded from a small group of individuals who evolved in Africa. I see God as one who does intervene in creation but gently. The design argument for the existence of God is a strong one for me. What I see at work in nature and the fact that I can see and think are all pointing me toward belief in a designer. Science is slowly revealing to us an unfathomably vast universe and through string theory is discovering evidence of other dimensions. If we can conceive of our souls though invisible having a history and a future, what then is our purpose? Do we progress by reincarnation through earth bound species toward existing as a devoted human being who, through his devotion to perfecting him or herself, escapes into a oneness with a unified spirit? Do we come this way but once and face judgment upon death as to whether we shall live with the creator or serve out some punitive recompense for our failures? Did a perfect divine being walk the earth and through his teaching and/or sacrifice avail the imperfect of eternal communion with the perfect? Why if we must become perfect to reside with perfection were we not made perfect in the first place?